So you meet some of our team recently- we hope they were nice. Meeting people is one of the great things about working for Lazarus Training, but we wanted to give something back- and that something is a first aid training competition with the chance to win some free first aid training. On this page you can sign up for our newsletter and give yourself the chance to win some free first aid training! We believe that our #trainforreal first aid training is soooo good that we are willing to let some lucky people try it for free. You can find out more about our training scenarios and simulations elsewhere on this website, but our training is designed to build confidence to apply the skills in the real world, not just pass a multiple-choice test paper while you are on the course. To have a chance to be the lucky winner all you need to do is sign up for our newsletter [form below]. Not only will you get our occasional newsletter with first aid training and medical news direct to your inbox, but you might also win the chance to attend one of our workplace first aid courses for free! All our training is taught to recognised first aid guidelines, Lazarus Training is a Qualsafe centre, an AOFAQ centre and a BTEC centre, so you can rest assured that the training you will receive is correct. We have some additional prizes to give out occasionally, so its worth staying subscribed. 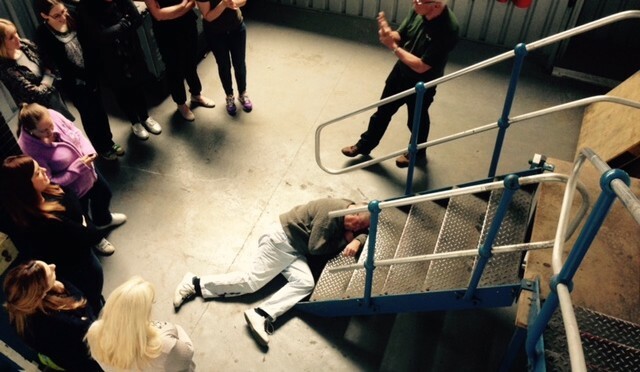 Our newsletter cover the latest news and guidelines in the area of first aid training and practice, it also covers what is happening here at Lazarus Training. It also includes feedback and stories from our delegates.